They added their voices to those around the world demanding swift and concrete climate-change action from world leaders gathered in Paris. VANCOUVER - Demonstrators in Vancouver are adding their voices to a crescendo around the world demanding swift and concrete climate-change action from world leaders gathered in Paris for the United Nations climate talks. 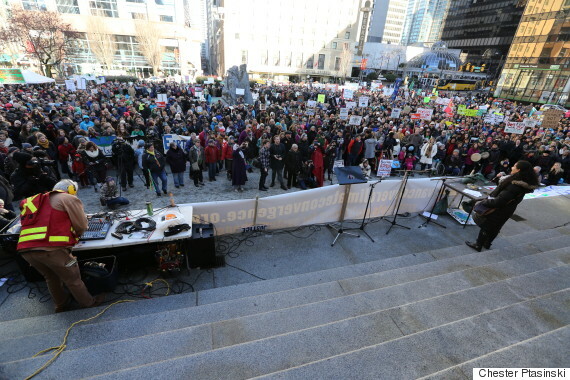 Thousands of people packed the shaded square outside the Vancouver Art Gallery on a sunny Sunday afternoon before marching through the city's downtown core. The gathering coincided with what organizers said were more than 2,000 similar events taking place around the world on the eve of the 21st UN Framework Convention on Climate Change, which is scheduled to run from Nov. 30 to Dec. 11. "What you're seeing here today is a massive display of community spirit," said Ruth Walmsley on Sunday, a Vancouver Quaker and one of the event's organizers. Those demands include an end to subsidies for fossil fuels and large-scale investment in renewable energy, she said. "This is the 21st conference of the climate summits and we have yet to see the kind of action that we really need to address the crisis that we're in," Walmsley added. "Honestly, I think that the only way that change is going to happen is if enough people take to the streets and demand it." The event attracted an assortment of attendees advocating a smorgasbord of different causes, from combating open-pen fish farms to endorsing alternative energy, and from supporting protection for endangered species to opposing pipeline expansion. 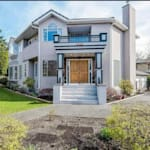 The event was co-ordinated by a network of more than 70 organizations from across the Lower Mainland, including First Nations, faith groups and environmental associations. Squamish First Nation Chief Ian Campbell stressed the need to work together in the battle against climate change. "Bringing in traditional indigenous views into that discussion I think is important for the values that First Nations bring around stewardship of the land and long-term planning around resource extraction and development." Speaking from Paris, Vancouver Mayor Gregor Robertson echoed the importance of citizen engagement in a message to the crowds assembled in his city and across the country. "Keep your voices strong and make sure we hold all levels of government accountable to taking action on climate change,'' he said. Robertson sat down with Prime Minister Justin Trudeau and Environment Minister Catherine McKenna earlier in the day to discuss the importance of collaboration between the federal government and Canada's municipalities in fighting climate change. While Canada isn't expected to announce any firm emissions-reduction goals during the global gathering — beyond the 30-per-cent decline by 2030 established earlier this year by the previous Conservative government — Robertson said he'd like to see the same ambitious emissions targets from his city adopted across the country. Vancouver aims to become fully reliant on renewable energy by 2050, coupled with an 80 per cent reduction in greenhouse-gas creation.